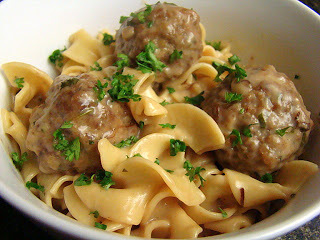 What a healthy alternative to store bought meatballs, and soooo easy! This recipe was made ahead just as directions state below. If you make them, double or triple the recipe! Take from the freezer what you will use for that meal. Spray pans with nonstick cooking spray. Shape mixture by rounded tablespoonfuls into balls. Place on baking sheet, not touching. Bake at 350° for 15-20 minutes or until done. Cool and place in freezer in pantry. Place into individuals’ containers or bags at the end of the day. Cover with plastic wrap, freeze. Blend flour, paprika, salt and pepper into oil in skillet. Cook over low heat, stirring until mixture is smooth and bubbly. Remove from heat, stir in water. Gradually stir in sour cream over low heat, mixing until gravy is smooth. Add cooked meatballs, heat through. Serve over egg noodles cooked according to the package directions. 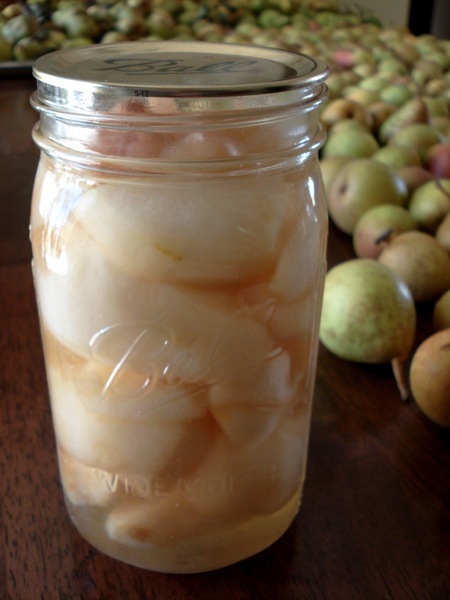 It’s so nice to have a friend with a pear tree! Make any salad and/or vegetables of your choice. Any fruit in season or canned will do as a sweet end to the meal.